Parking in a spot that restricts people’s entry and exit from their homes is the worst kind. 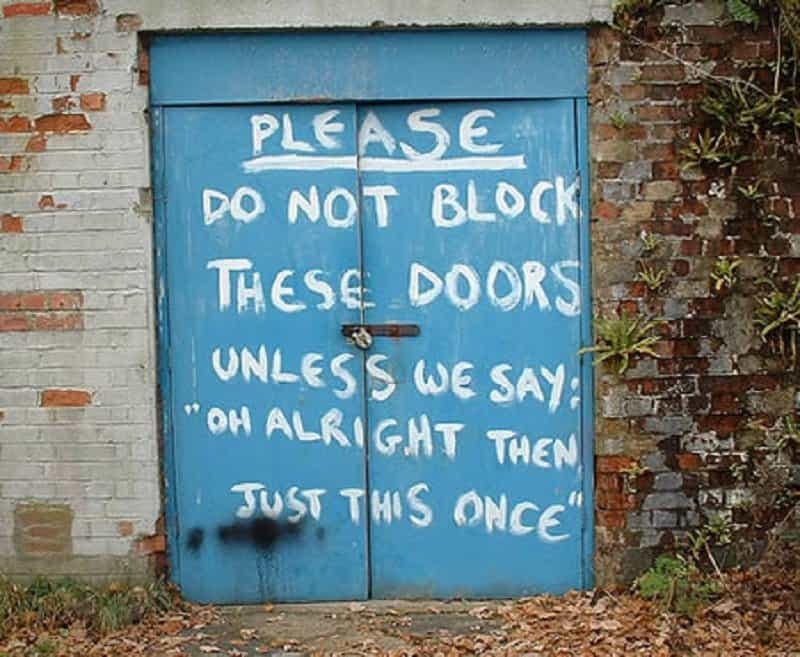 It is always kinder to just ask for permission. 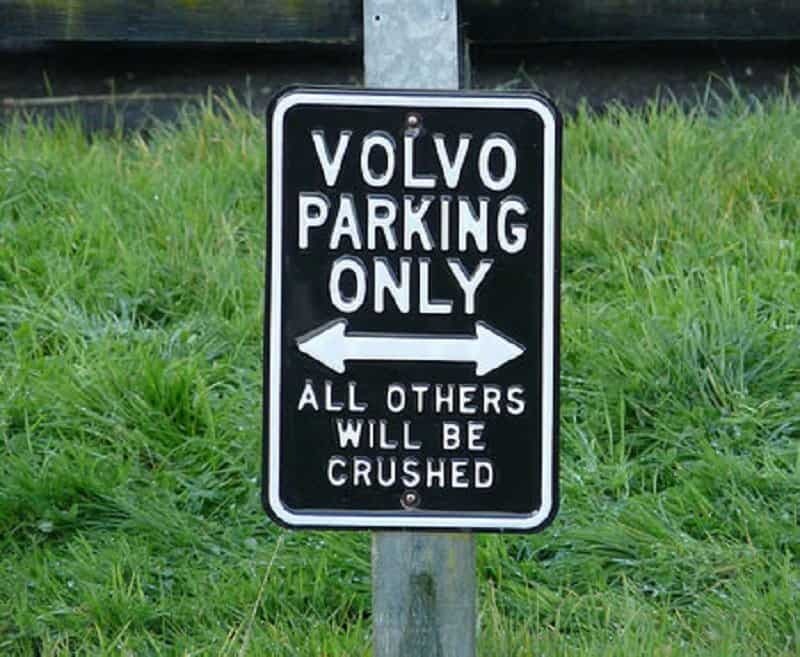 This is the best kind of punishment for people parking in the wrong spots. 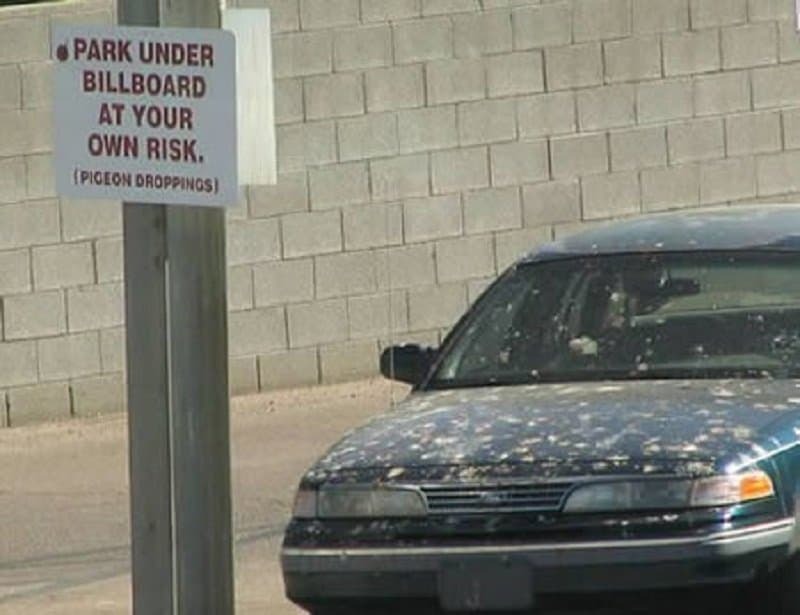 Just let nature unleash the mighty pigeon poop! 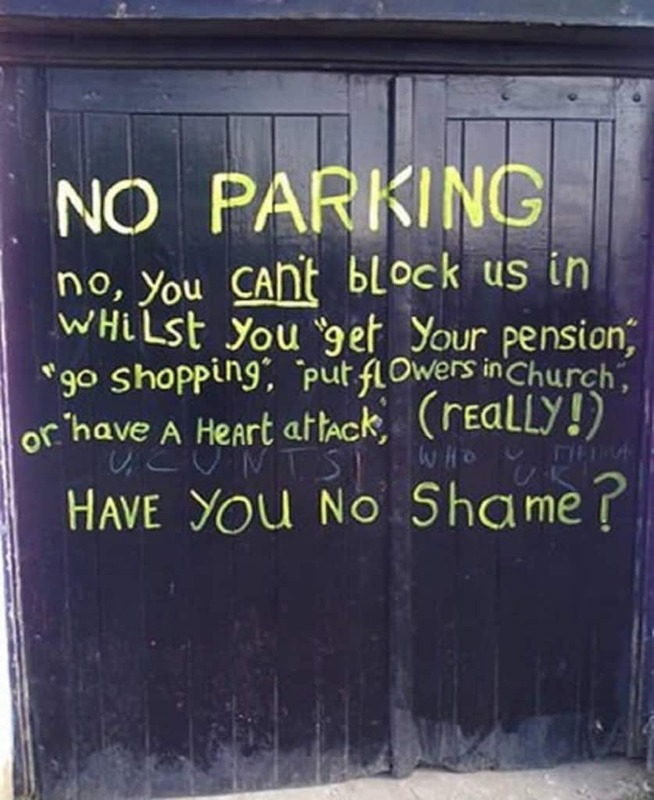 Sometimes you feel like parking in a ‘No Parking’ spot just to mess with the angry people who put up rant-filled notes such as this one. 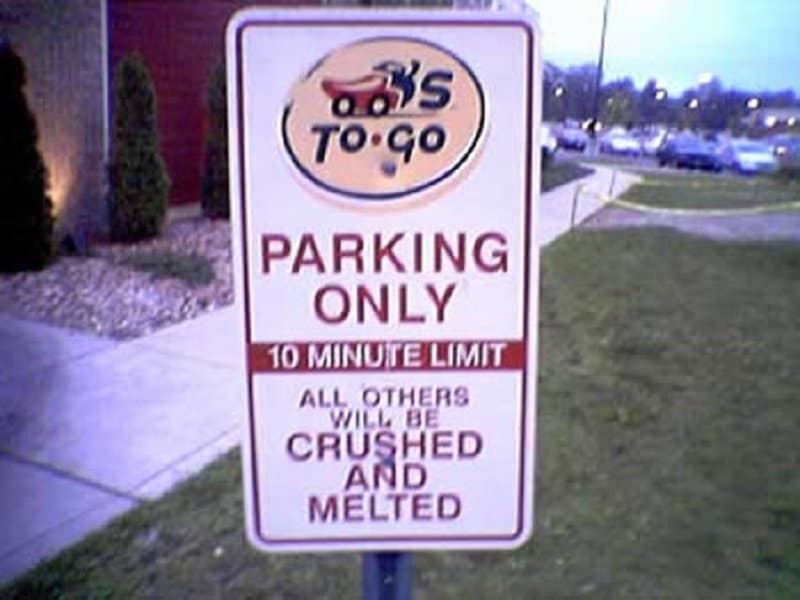 You have 10 minutes in this spot. After that you get to watch your car being treated like an ice-cream cone. 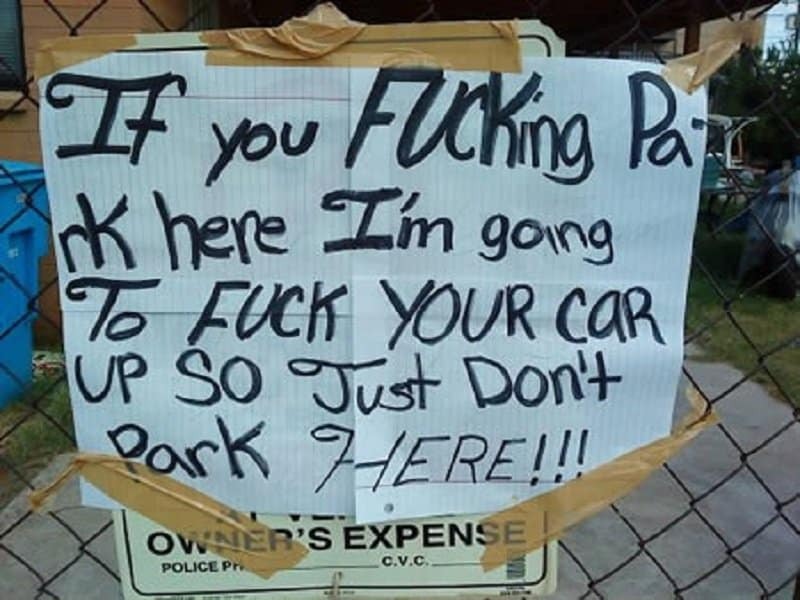 The people who wrote this note clearly have a lot of experience hearing excuses from people who parked in front of their gate. Having a heart attack seems like a genuine excuse, though, and you could probably wait a few minutes for that. 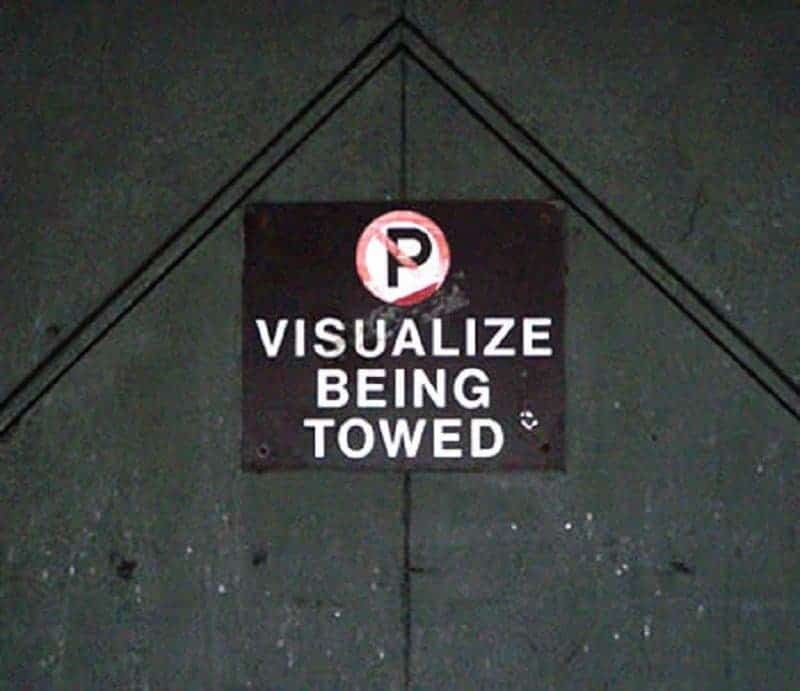 Sometimes to prevent yourself from doing a crime, you need to fully visualize the punishment. 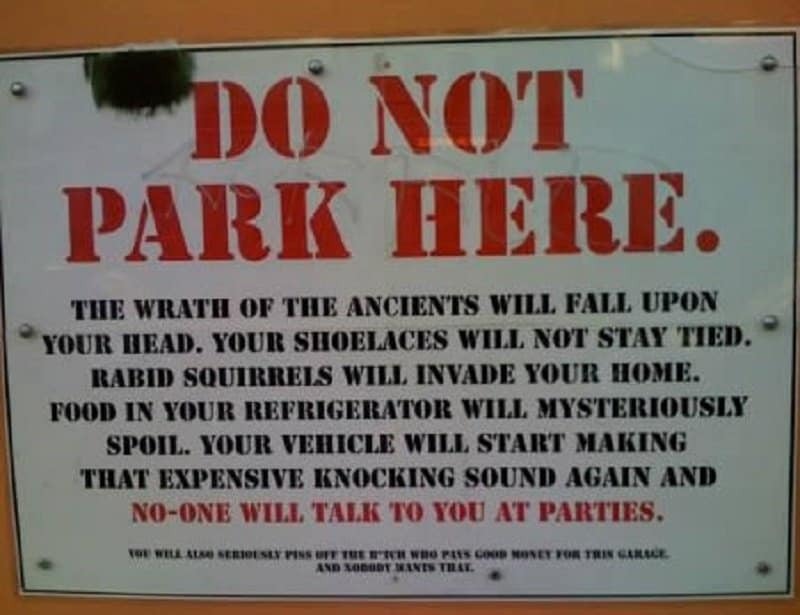 This is a good exercise for not parking in the wrong spot, and for life in general. 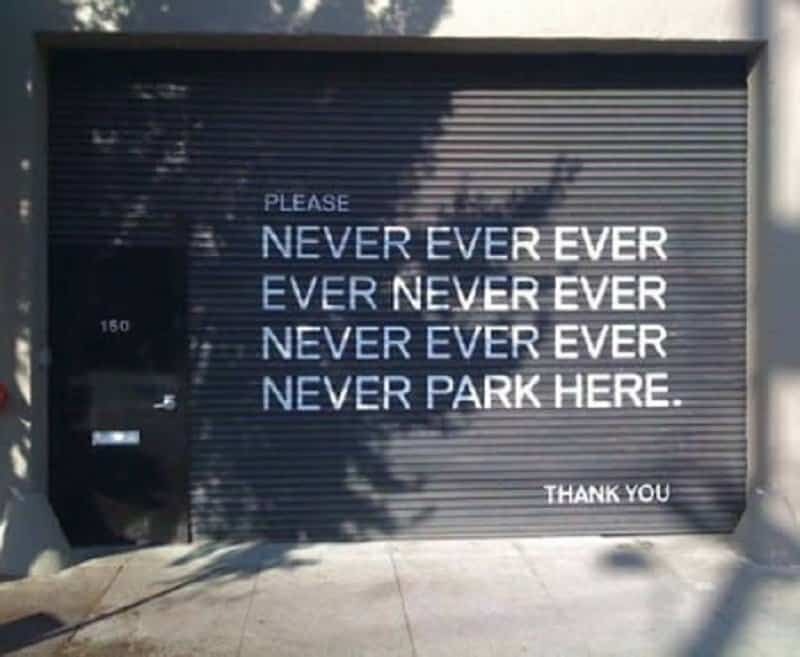 Are they asking you to not park at this spot? The note isn’t very clear about the details. 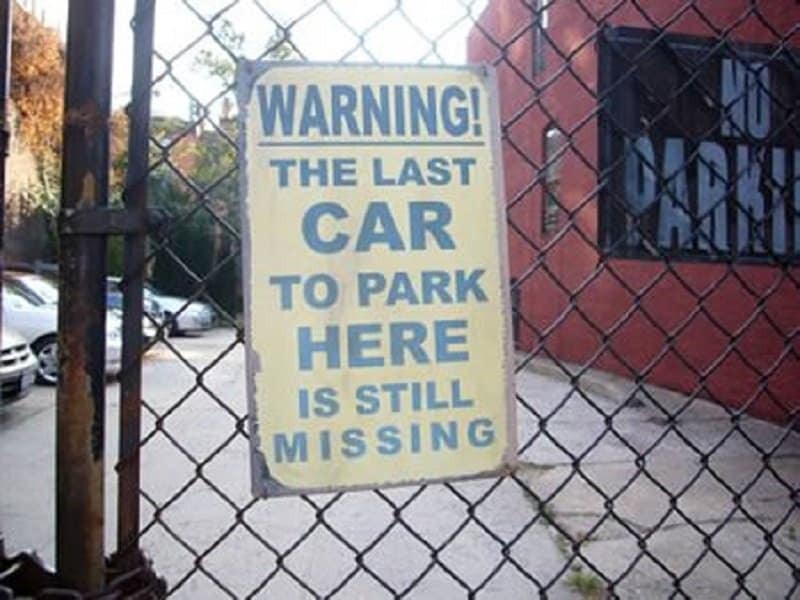 How do these people know that the car is still missing? Do they call the owner of the car for timely updates? They seem really concerned about the missing car.